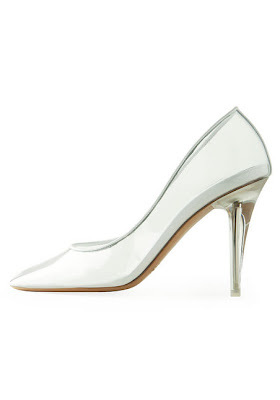 Lush Fab Glam Inspired Lifestyle For The Modern Woman: For The Love of Shoes: Marc Jacobs 'Cinderella Glass Slipper' Stilettos. 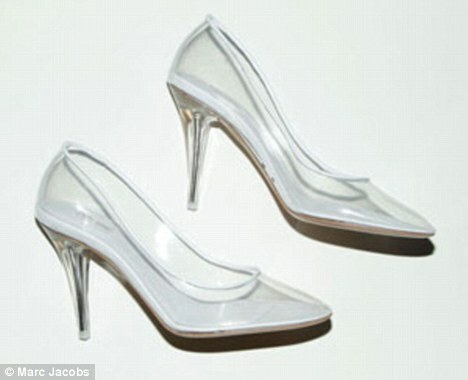 For The Love of Shoes: Marc Jacobs 'Cinderella Glass Slipper' Stilettos. Our latest fab shoe find comes from designer Marc Jacobs and it takes us back to the land of Disney fairy-tales and Princesses, specifically Cinderella and her Glass Slipper. The New York based fashion designer has created a remarkable transparent round toe pumps with a PVC upper and white piped leather edge with a lucite stiletto heels. Would you wear Marc Jacobs Cinderella slippers? Leave a comment below. Great blog!! Now I’m a member of it. thanks for sharing us.hope you follow me backnike zoom rookie shoes.